It's the play everyone was talking about after Super Bowl XLIX. Patriots fans were elated. Seahawks fans were in shock and in disbelief. Just feet away from a touchdown and down by 4 points, Seahawks QB Russell Wilson decides to throw the ball to Ricardo Lockette. FAIL. The ball was intercepted. Everyone was asking the same question, "Why do you throw the ball when you have a Running back whose nickname is 'Beast Mode?'" When you have what seems to be the sure thing why choose another route? That's a great question. 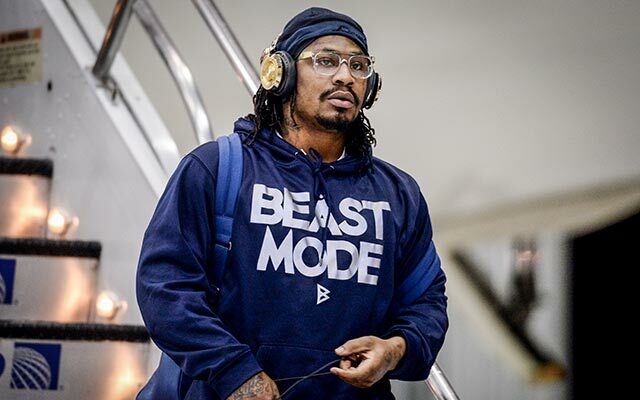 Marshawn Lynch and Jesus Christ have a lot in common. Lynch is known as, "Beast Mode" for his aggressive running style and ability to break tackles with ease.While Lynch was was most likely the sure thing, Christ is always the sure thing! In the most important moments of life don't let the enemy intercept your joy and peace. Let Jesus lead your life. Confess your sin. Give your life over to Him. Do you know where you will spend eternity? You can be with God forever through trusting in Christ. Jesus never fumbles and He always scores!